Founded in 1933, Olmsted Transportation provides flat-bed, curtain van, and car hauling services across the Pacific Northwest, including BC, AB, WA and OR. As a family owned company, Olmsted Transportation takes great pride in displaying fast and reliable service to our customers as well as providing a great place to work for our employees. If you are interested in becoming a driver for Olmsted Transportation, we have opportunities available for anyone possessing a current Commercial Driver’s License (CDL). 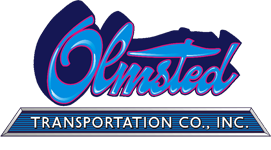 Olmsted Transportation offers a very competitive compensation package to it's employees. We feel providing a fair, and transparent benefits package, has aided in the longevity of employment for the vast majority of our drivers. For more information and to find out how you can apply please visit our careers section.